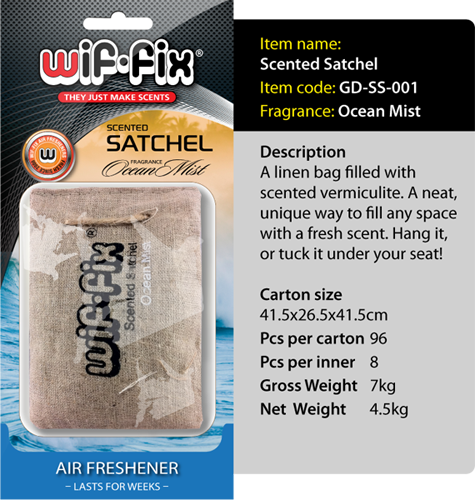 Our individual items category is a collection of air freshener products that are a little bit different to the norm. 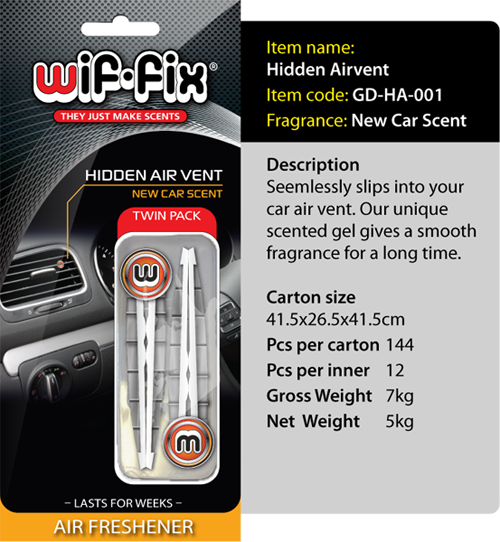 A range that is practical and fun, including: Wif-fix Hidden Air Vent – A clever way to conceal your air freshener; Wif-fix Scented Satchel – Hang it or tuck it under a seat. Stay tuned for more Wif-fix inspiring solutions.